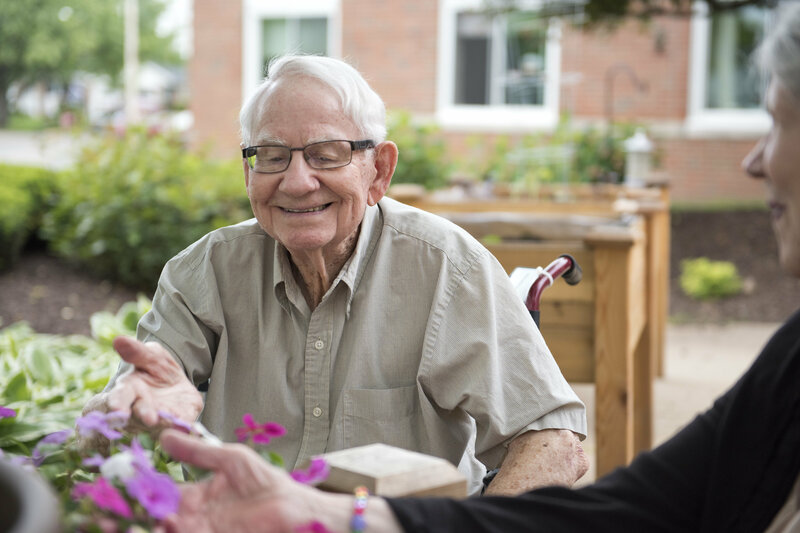 Hunt Terrace assisted living studio apartments are available for residents who want private living but appreciate additional support and personalized attention for the activities of daily living. Care services are tailored to meet each individual’s needs. Hunt Terrace residents may also take advantage of all amenities and services available on the Wesley Willows campus at the Town Center.